“Not everyone will understand the importance of “rat catchers,” but if you live in the countryside, you sure do! “Rat catchers” rid farms of destructive vermin – and the hunting and teamwork skills required to do so are the foundation of the sport of Barn Hunt. 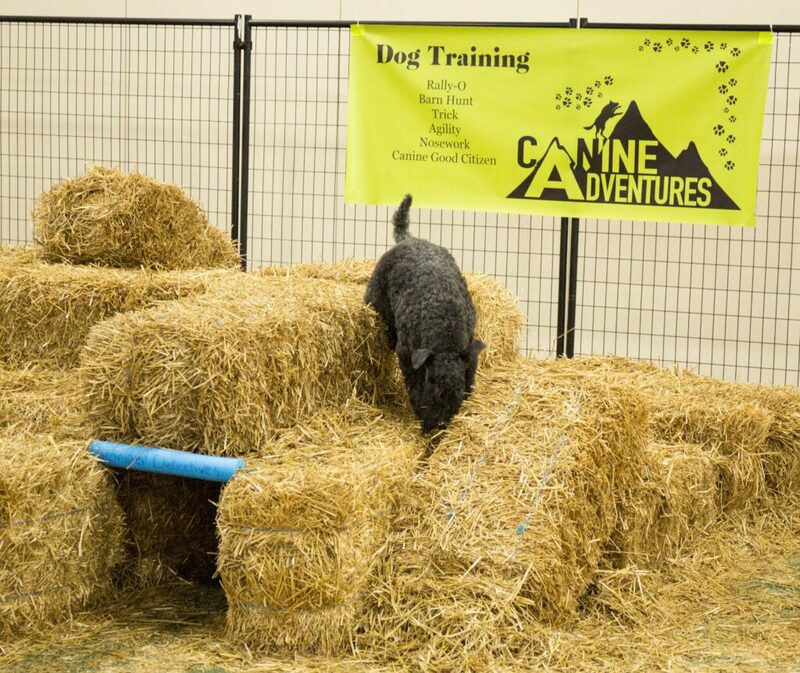 Dogs and their handlers work as a team to locate and mark rats (which are always safely held in aerated tubes) hidden in a maze of straw or hay bales. The Detroit Kennel Club is pleased to once again host Barn Hunt Trials at the 2019 DKC Dog Shows on both June 22 and 23! Enter your dog in the Barn Hunt Trials, or come and watch these amazing dogs in action! The AKC’s Canine Good Citizen (CGC) program is the gold standard of behavior for dogs in our communities. Almost one million dogs have participated in the program since it began in 1989. Many dog owners choose the CGC as their first step in training their dogs. It also provides a great foundation for getting started in dog sports. CGC Testing will be available at the 2019 DKC Dog shows for both dogs entered in the dog shows as well as non-entered dogs! If you have been attending basic obedience classes with your dog and are ready to take the CGC test, walk-in registration for this testing is available. CGCA Testing will be available at the 2019 DKC Dog shows for both dogs entered in the dog shows as well as non-entered dogs! If you have been attending basic obedience classes with your dog, passed the CGC test and are ready to take the CGCA test, walk-in registration for this testing is available. TDI Testing will be available at the 2019 DKC Dog shows for both dogs entered in the dog shows as well as non-entered dogs! If you have been attending basic obedience classes with your dog and are ready to take the TDI test, walk-in registration for this testing is available. Many dog breeds were developed to pull heavy loads to assist their owners. Today, these dogs enjoy the sport of weight pull, which enables dogs to put on a special harness and pull a cart that is loaded with weight, often bags of dog food. 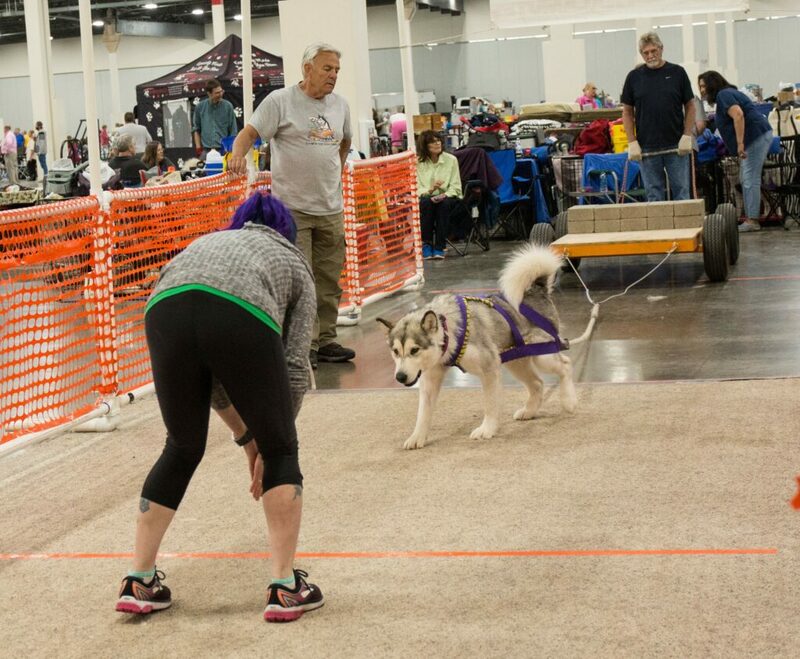 The Detroit Kennel Club will host weight pull events on June 22 and 23! Enter your dog in the Weight Pull events, or come to cheer on your favorite during this thrilling exhibition of doggy strength and determination! Did you know? Dogs have a sense of smell that’s between 10,000 and 100,000 times more acute than ours! The sport of Scent Work celebrates the joy of sniffing, and asks a dog to sniff to their heart’s content; turning their favorite activity into a rewarding game. For many dog sports the handler is in control. In Scent Work, neither the dog nor handler knows where the target odor is hidden. The handler has to rely on the dog, and follow the dog’s nose to success. In Scent Work, it is the canine who is the star of the show. The sport of Scent Work is based on the work of professional detection dogs — such as drug dogs — employed by humans to detect a wide variety of scents and substances. In Scent Work trials, dogs search for cotton swabs saturated with the essential oils of Birch, Anise, Clove, and Cypress. The cotton swabs are hidden out of sight in a pre-determined search area, and the dog has to find them. Teamwork is necessary: when the dog finds the scent, he has to communicate “the find” to the handler, who calls it out to the judge. Sound intriguing? Don’t miss the Scent Work Trials at the 2019 DKC Dog Shows on Sunday, June 23! Enter your super-sniffer, or come to see these amazing dogs out-sniff the competition!